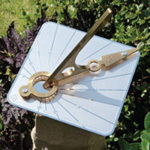 MACMILLAN HUNTER SUNDIALS is a business creating sundials for sale. 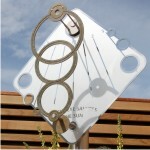 Each sundial is designed and constructed in the UK and hand-built to individual order. The business operates from Edinburgh, Scotland. 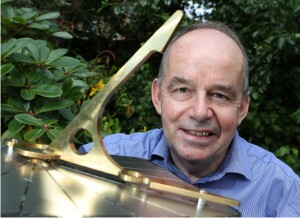 ALASTAIR HUNTER founded the business in 2009. 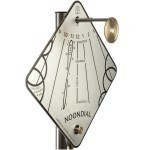 He is an artist and engineer who loves working with these beautiful and intriguing objects. 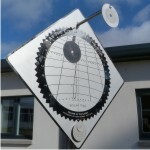 Using ancient principles, original design and precision engineering, he transforms the traditional sundial into a work of contemporary sculpture. 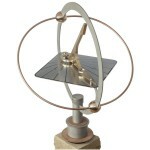 Alastair’s background in engineering includes energy, aerospace and agriculture. 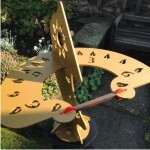 He is currently a member of a number of connected organisations: British Sundial Society | Federation of Small Businesses | Scottish Artists Union.